Travelindustrydeals: International luxury travel providers meet in Innsbruck for loop. Only a few spots are left. 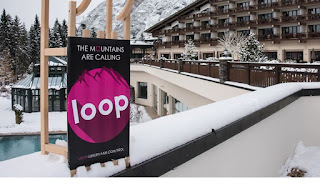 International luxury travel providers meet in Innsbruck for loop. Only a few spots are left. From November 19th until November 21st, 2018 the only B2B- luxury travel trade show for the German-speaking market loop-luxury on our planet will start in Tirol for the second time! Within three days, the international crème de la crème composed of hotels and providers of luxury tourism products as well as buyers of travel agencies and tour operators will meet at the Interalpen-Hotel Tyrol. The concept of loop is similar to speed dating on high-class level.